On November 8, 2015, the boys and girls of PS 76 traveled to Yale University to discover what a day in the life was like as a student-athlete at one of the most prestigious schools in the country! Harlem Lacrosse student-athletes started their day with a tour through campus led by several of the Yale men's lacrosse players. 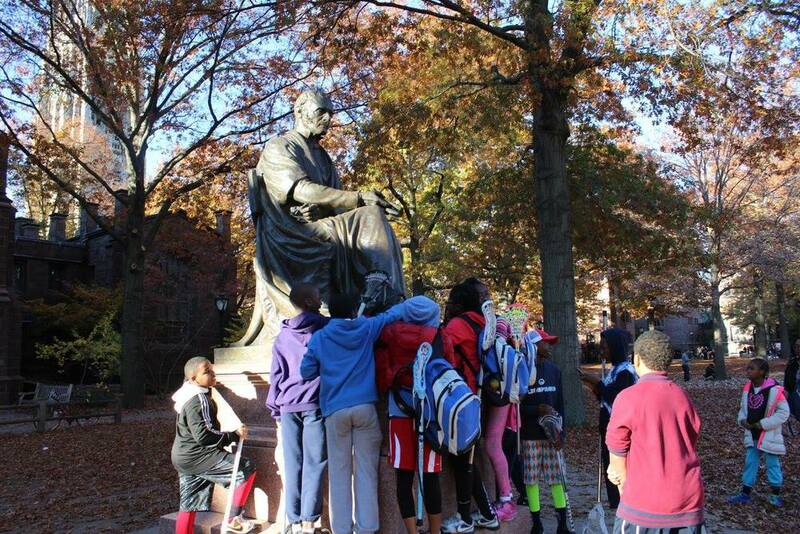 Harlem Lacrosse participants were able to see the library, mess hall, gym, quads, dorms and the statue of Elihu Yale himself! They then ended the day with several scrimmages against Inner City Lacrosse at Yale's Reese Stadium, where the 76 girls won the first game in program history! A huge thanks to HLL super volunteer Ted Forst and the Yale Lacrosse Team for organizing the tour of campus and Michael Gary of Inner City Lacrosse for hosting the lacrosse friendlies.